Ever since my last post about go-go dancing, I've been trying to find out if there were any notable women who made a name for themselves performing this 60s form of dance. After all, it's one of my time travel fantasy jobs. One such name that I uncovered is Sandy Sarjeant. Sandy's name may not ring a bell to most Americans, but in Europe during the sixties, she was one of the most famous go-go dancers to ever shake her tail feather on television. Sandy on her wedding day. After that, the trail goes cold. 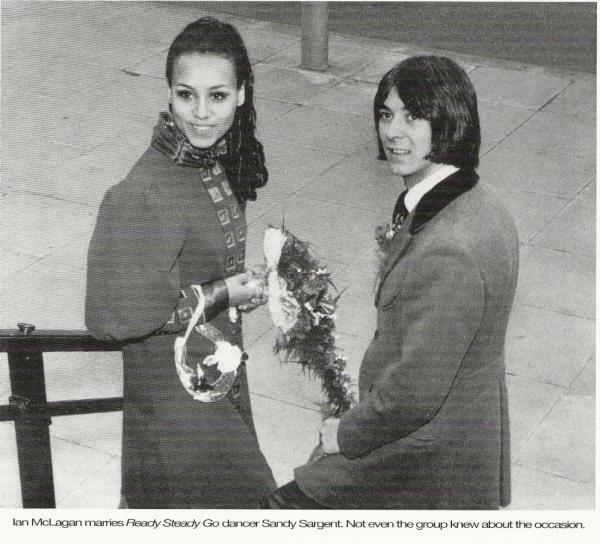 How Sandy got her start dancing remains a mystery, as does anything that happened to her after 1972 (she did have a child and divorced McLagan.) If anyone out there has any additional information about Sandy, please feel free to share it. In the meantime, here's some clips of her fabulous and contagious looking moves--they sure make me want to get up and dance! She was one skinny looking chick, but how could you not be when this was your profession all day long? There is a new book out about the Faces. She is interviewed quite a bit throughout the book. 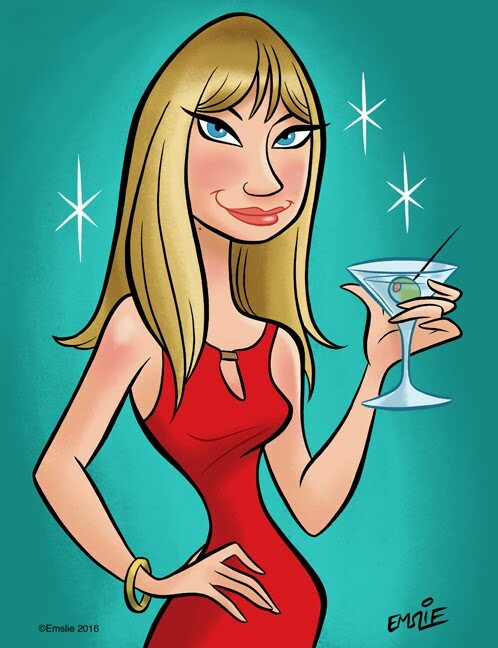 There is, of course, Candy Johnson from the Beach movies. Also Terri Garr, who was one of the Shindig Dancers. I'll look up Candy Johnson. I didn't know Terri Garr got her start on Shindig. The neat scene is the closing credits of Bikini Beach where she dances with Renie Riano (I think that is who it was). There are a few clips on YouTube, problem is Teri wasn't famous yet so if you blink you'll miss her. I seem to remember she danced in a couple of Elvis flicks as well. 2016 still nothing much on sandy on the internet - does anyone know anything more? Its so rare to draw a dead end. Maybe she changed her name.